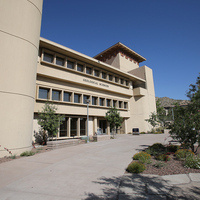 The Geological Sciences Building has had more remodels and renovations than most of UTEP's other buildings. Its history is riddled with controversy and protest; a history with roots grounded in tradition but with a vision for the future. It seems fitting that the building now contains laboratories supplied with the modern equipment to study the earth’s oldest structures, continuing to link the modern and ancient worlds.